NJ Network Security Services: Network security is becoming more and more important - If you have a broadband-ISP your network has open doors to the Internet. Just as you would not want to leave the door to your home or business wide open, you shouldn't leave your door to the Internet open. A network firewall is necessary to protect your organization from identity theft, data loss, hackers and virus exposure. Protect your business data with a network firewall - What is a network firewall? A firewall is a system that enforces an access control policy between two or more networks. Quite often, the first network is your own corporate computer network and the second network is the Internet itself. How do I enhance my office network security? A firewall will greatly enhance network security and and keep your data network secure . ICS can provide Firewall installation services to protect your business critical data and enhance computer security \ network security. Why do I need a firewall? The Internet, like any other human activity, is plagued with individuals who enjoy the electronic equivalent of creating graffiti, tearing off mailboxes, or just sitting in the street blowing their car horns. Other individuals are intentionally attempting to gain private or confidential information from you. Fortunately, most people are simply trying to accomplish legitimate work over the Internet. A firewall's purpose is to keep unwanted individuals, viruses, spyware and malware out of your network while still allowing you to get your job done. 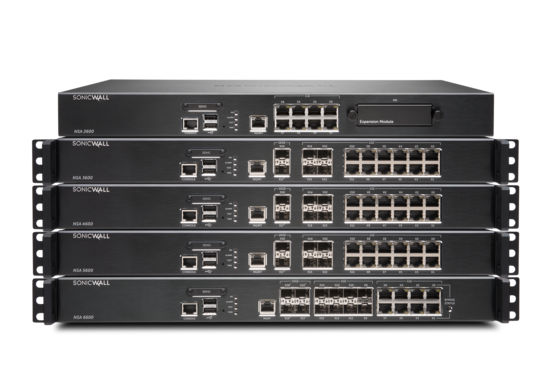 Comprised of the SonicWALL NSA 2650, NSA 3600, NSA 4600, NSA 5600 and NSA 6600, the NSA Series offers a scalable range of solutions designed to meet the network security needs of any organization.